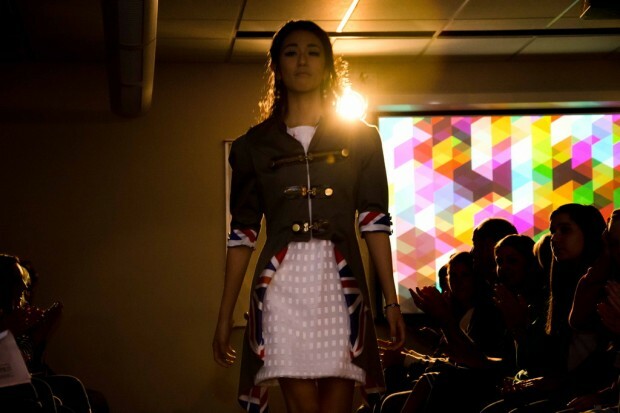 From the sketch books to the runway, Salt Lake Community College Fashion Club presents Project Catwalk, an annual event which offers junior and high school students the opportunity to showcase their talent in fashion design. 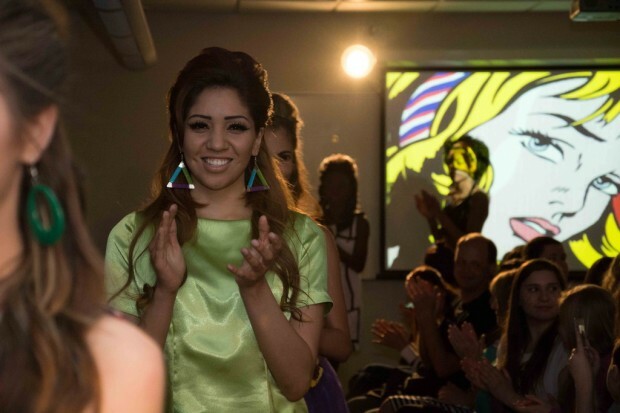 From workshops to guest speakers, to a 1960s theme inspired runway show, the SLCC fashion club has certainly outdone themselves, and the designs were top-notch. This year’s Project Catwalk took place on Friday, April 25 at Library Square Campus. The event was filled with enthusiasm and joy. Each student designer was eager and anxious to show off their finished product. 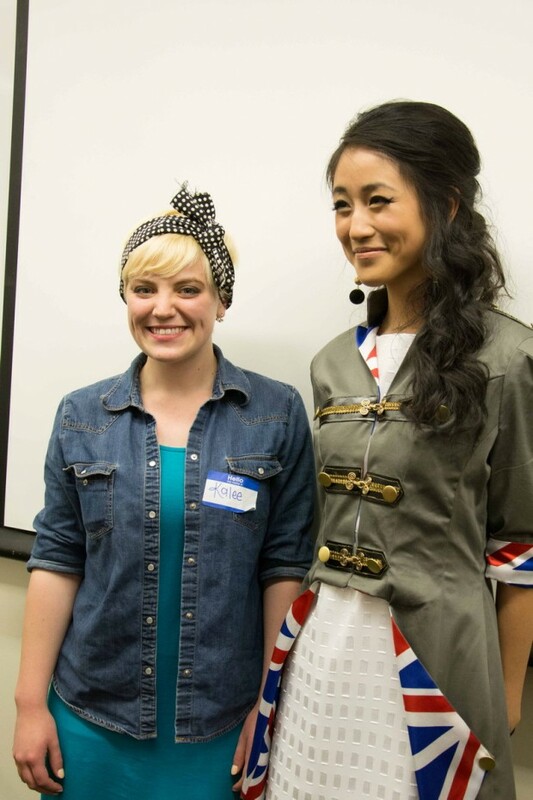 SLCC Fashion Club provided the chance for the junior and high school students to learn inside information from guest speakers on fashion design and merchandising. The speakers included Mary Reno, Eugene Tachinni, Chad Young and Alicia Richmond. During the discussions amongst the students and guest speakers, the thing emphasized most is how to get the right kind of education, which is essential for the fashion industry. There could only be one first place winner of Fashion Catwalk 2014, and it was Kaylee Doyle from Payson High School. She designed a 60s themed dress. A simple, yet elegant white dress with a chic military jacket, established with creative straps and buttons and placed right over the dress, completed the outfit. A pattern of the England flag, embedded underneath the coat, made for a sort of Beatles reference. The second place winner was Sydnee Church from Taylorsville High School and third place winner was Brecklyn Frame from Mont Harmon Junior High. Local businesses such as A Fashionable Stitch and Tissu were great supporters for Project Catwalk, and of course, all of the volunteers, including fashion show models and photographers. A designer makes final adjustments before the Project Catwalk event on Apr. 25. Fashion model Autumn wears Kaylee Doyle’s winning dress on the catwalk during Project Catwalk on Apr. 25. 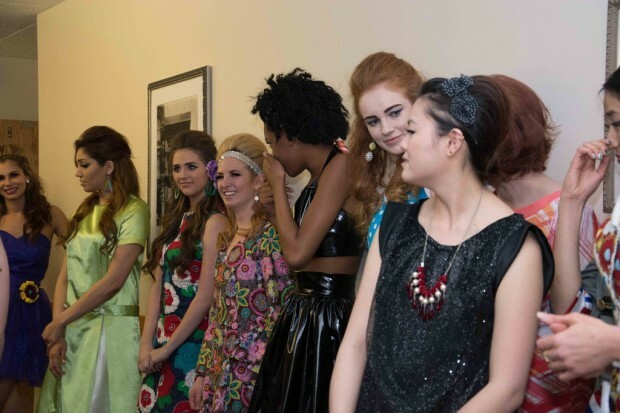 Models and designers gather in the hallway during Project Catwalk on Apr. 25. Winning designer Kaylee Doyle (Left) stands with model Autumn in the winning dress at Project Catwalk on Apr. 25.